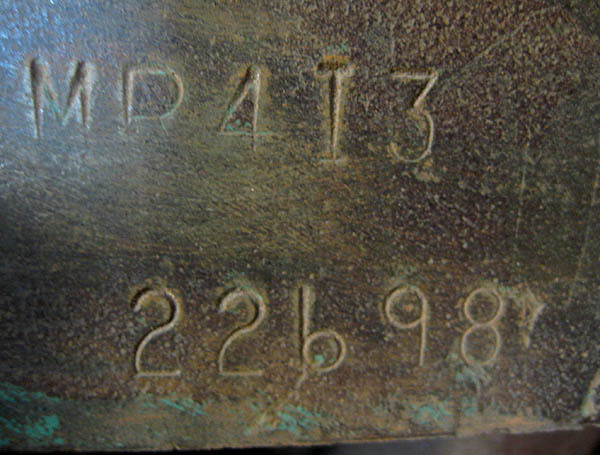 The engine ID is stamped on the flat horizontal pad at the front of the engine. For the 300E the engine ID begins with the letters "MR". On AC cars, the compressor sits above the ID pad and the ID is nearly impossible to see. 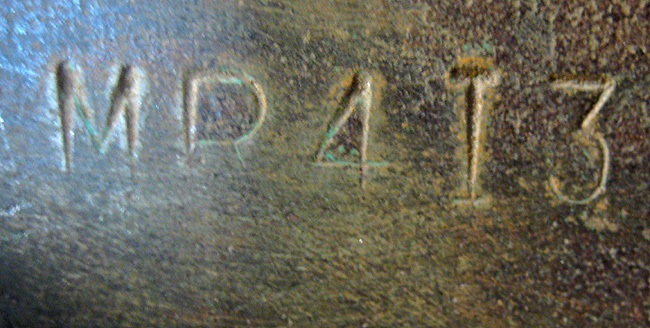 should reveal the faint leg of the "R"
more legible than the bottom of the same line. 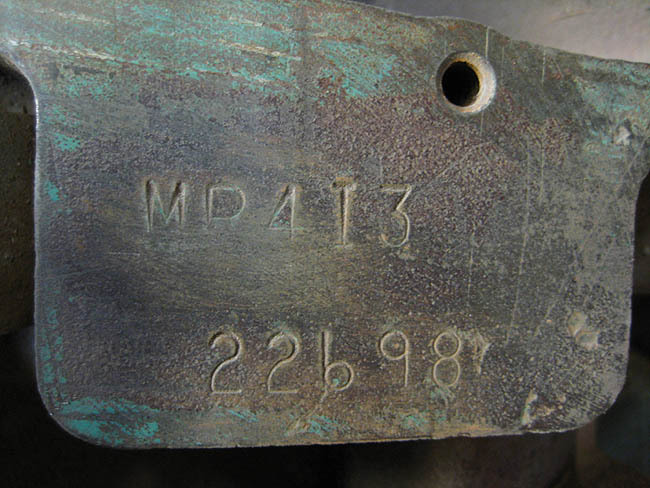 When the engine was stamped, the ID tool was not square to the surface. Thanks to Soren Persson in Sweden for these photos.